World Immunization Week is on the horizon. The annual event lasts from April 24-30 this year and brings awareness to the important immunizations that help prolong the lives of people around the world. For years, the Centers of Disease Control and Prevention have recommended a single immunization against pneumococcal disease, also known as pneumonia. Yet, a 2015 study published in The New England Journal of Medicine found that a second vaccine is actually necessary to protect against rarer strains of pneumonia. As a result, the CDC now suggests that people 65 years or older receive two immunizations: the original pneumococcal polysaccharide vaccine 23 and the newer pneumococcal conjugate vaccine 13. Vaccinations help seniors avoid illnesses such as the flu and pneumonia. For many people, the flu is a temporary annoyance that lasts a few days, at the least, and no more than two weeks at most. Yet, seniors may not have the same experience. This group of people are at a higher risk of encountering serious complications in the form of sinus or ear infections, pneumonia and inflammation of the heart, brain or muscle tissues, according to the CDC. That's what makes receiving the influenza vaccination on at least a yearly basis so critical for seniors. A high-dose trivalent shot will protect people 65 years and older and provides the best form of protection against the flu, the U.S. Department of Health and Human Services recommended. 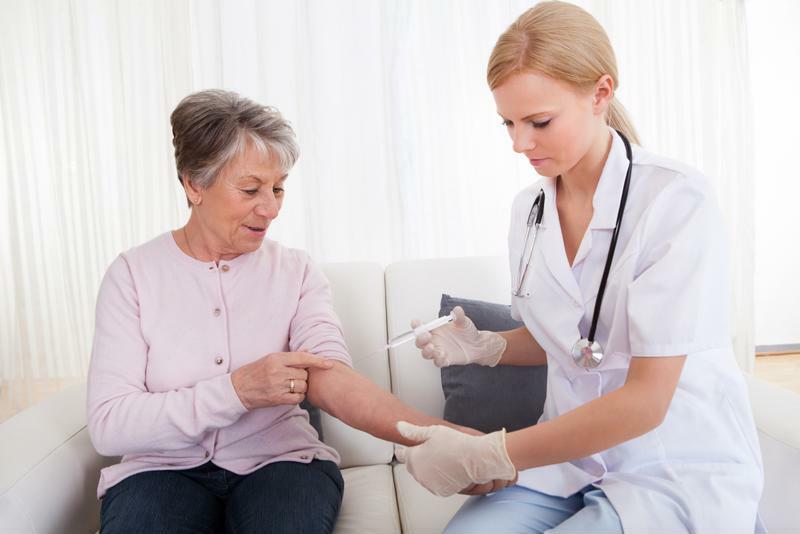 Getting this immunization is even more important for seniors living in an assisted living community, as the infection may spread among the population if not detected early enough. Since the virus is subject to change – even within a year – family members should remain aware of any updates their loved ones may need. Formerly known as the herpes zoster vaccine, the immunization protects seniors from developing shingles – regardless if people have contracted the illness previously. Cases of this condition, which results in blistering skin rashes, are more severe the older a person gets and the shot is recommended for everyone 60 years and older. The only exceptions are seniors who have a weakened immune system or have ever had an allergic reaction to various components of the shingles vaccine, according to AARP. "The tetanus immunization now comes as a combination shot." Most people are aware that tetanus shots need to be updated every 10 years. This update is even more vital in seniors, as the vaccination now comes in a combination form that also helps prevent diphtheria and pertussis – also known as whooping cough. Both Td (tetanus + diphtheria) and Tdap (tetanus + diphtheria + pertussis) are given to adults. Td should be administered after a person is exposed to tetanus or as a booster shot, while Tdap should be given in place of Td, according to the HHS. Vaccinations are a vital factor in the health and wellness of people of all ages around the world today. Babies, children and seniors – who are already at a higher risk for various illnesses and diseases – need to receive particular immunizations to protect themselves against life-threatening diseases that come with serious side effects and could result in mortality. Among the vaccines those 65 years and older should obtain include shots safeguarding against pneumonia, influenza, shingles, tetanus, diphtheria and pertussis. These immunizations are even more critical for loved ones residing in an assisted living community, as an outbreak of any of these conditions could cause widespread consequences for residents.